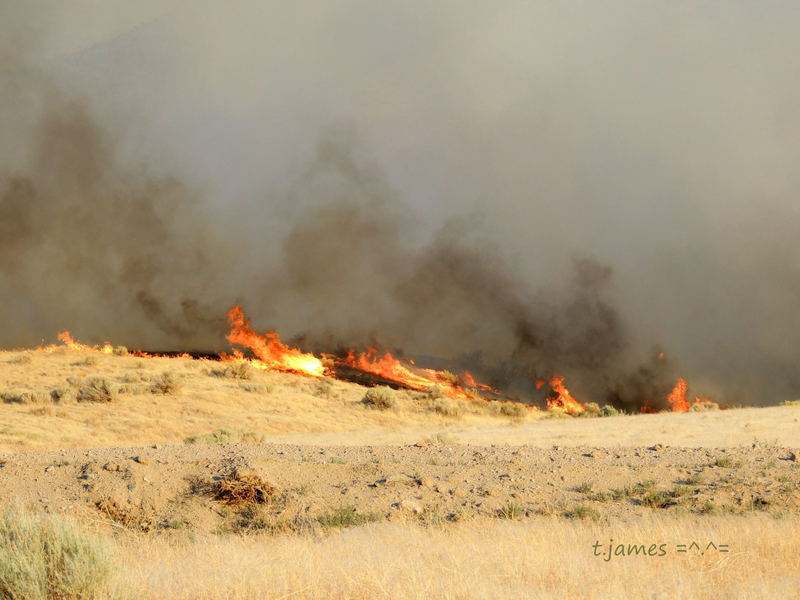 Dry lightening started a fire near the WY14™, rescued wild horses, yesterday around 6:00 pm. The ranch owner and our volunteers with American Wild Horse Institute and Protect Mustangs were on site and ready with our evacuation plan if needed. We prayed through the night we would not need to evacuate but the trailers were hooked up and we were ready. Thank heavens we have a solid evacuation plan. I don’t know if you know that I’ve been trained by the United States Pony Club (USPC) in Horse Management, assisted the Chief Judges as a Horse Management Judge at competitions so I have been well schooled in horse care, etc. Irma Novak who sits on our board is a USPC national champion in Horse Management. USPC is cavalry based so it’s all about being prepared, knowing what your doing and giving horses the best of care. The WY14™ Herd were rescued back form the slaughterhouse yard by Mark Boone Junior and I in 2014. Right now they live on 300 acres of rented eco-pasture on a ranch run by professional equestrians in a very tight horse community. A lot of people have their eyes on the WY14™. We have volunteers living near the pasture. Please make a tax-deductible donation to keep them there. Board is due in 2 days! : https://www.gofundme.com/MustangPasture8-16 Thank you and Bless you! Yesterday some of our members helped evacuate some mustangs in private care who wouldn’t load into the trailer. They helped other horses too. The whole valley was filled with firefighters and people helping neighbors and animals who needed to evacuate. Right now there are more than 2,000 fire fighters working on the fire with air drops coming from the nearby airport. We are still on alert even though people are bringing their horses back into the community. . . It pays to be safe. Here is a photo taken from the ranch last night. Time is ticking. Pasture board is due in 2 days Please HELP Donate and Share the WY14™’s fundraiser: https://www.gofundme.com/MustangPasture8-16 Thank you and Bless you! The WY14™ send you their Great LOVE, LOVE, LOVE. They are so grateful you are helping them. Mission: The American Wild Horse Institute is devoted to the education and preservation of American wild horses. 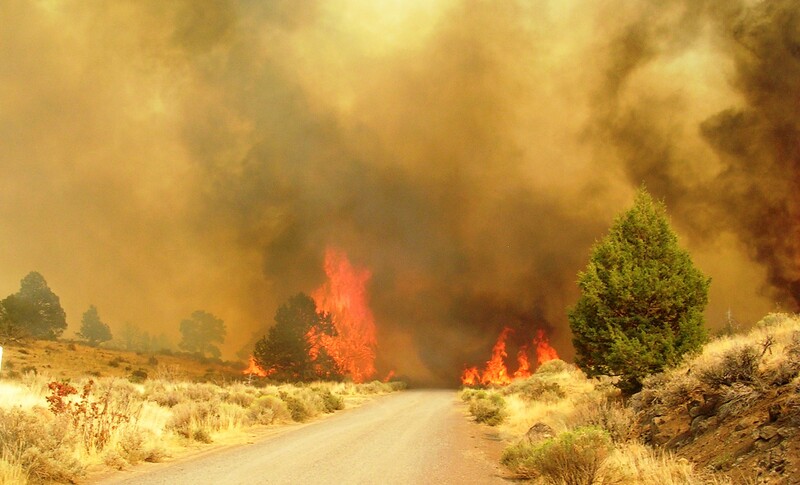 SUSANVILLE, Calif. -Investigators have determined that a spark from a tree harvesting saw was the cause of the Dodge Fire that has burned about 11,000 acres of sagebrush, grass and juniper trees in a remote part of Lassen County, Calif. The Bureau of Land Management determined that the spinning blade in a “feller-buncher” machine caused a spark, setting fire to dry grass. Workers were unable to quell the flames with available tools and equipment, and the fire spread quickly into tall sagebrush and junipers. “We are examining all the evidence and information we have to determine whether there was any negligence,” said BLM Northern California District Manager Nancy Haug. “The contractor has been very cooperative in this investigation, and was a big help during the initial stages of the fire.” The BLM will issue a final report in the next several weeks. The contractor was removing juniper trees as part of project to reduce the density of the tree stand, improving sage-steppe habitat important for wildlife, including the greater sage-grouse. The fire started Monday, Aug. 3. Driven by wind and drought stressed fuels, it spread quickly. The blaze was 20 percent contained today, with full containment estimated for Aug. 11. Location: The fire is located on Bureau of Land Management (BLM), Northern California District (BLM-CA-NOD,) Eagle Lake Field Office, approximately 15 miles southeast of Ravendale, California. 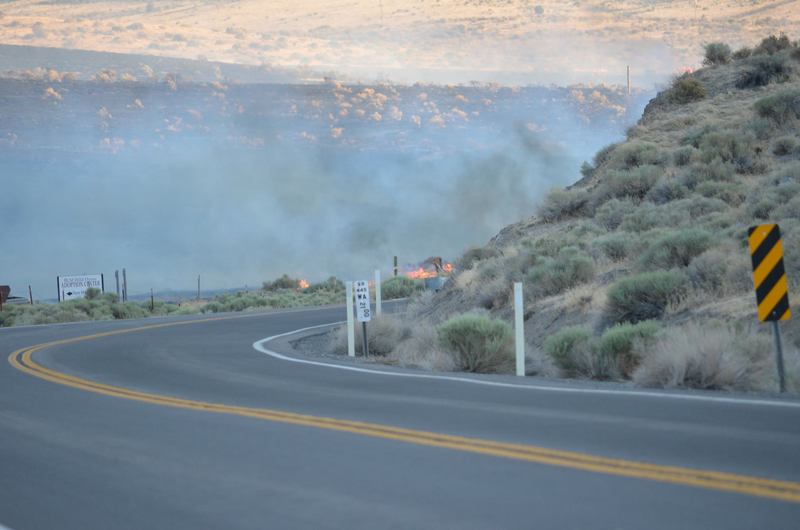 The fire is burning near a major natural gas line and transfer station, and power transmission lines that supply the Reno area and adjacent to Highway 395. Summary: Today firefighters made excellent progress in continuing line building and mop-up around the perimeter of the Rush Fire. Fortunately the predicted critical fire weather conditions occurred for only a short time and fire spread was minimal. Most of the growth occurred in the northeast part of the fire where firefighters made progress, but have not completely encircled the fire in the SOB/Burnt Lake areas. Crews will continue line building in that area tonight and tomorrow. Tomorrow, aircraft (small air tankers and helicopters) will be used to help firefighters in this effort. The remainder of the fireline will be patrolled and any heat found next to the fireline will be put out. Suppression repair (mainly smoothing and water barring dozer lines) will begin on some cool portions of the fireline. Area and Road Closures in Effect: On August 17, the BLM issued a closure order for public lands in the fire area to protect public health and safety. The closed area is bounded by Highway 395 on the west, the Sand Pass Road on the east, and the Wendel Road on the south. The new northern boundary for the public land closure is the Juniper Ridge, Tuledad, Stage Road, Marr Road, and Buckhorn Road extending to Nevada Highway 447 in Washoe County. Routes closed within this closure area include the Ramhorn Springs, Rye Patch Road, Buckhorn, Shinn Ranch, Stoney, Deep Cut, Smoke Creek, Skedaddle Ranch, Dry Valley, and Brubeck roads. The Ramhorn Springs Campground and the Dodge Reservoir Campground also is closed. Today, August 21st Washoe County closed the Buffalo Meadows Road to public use. This will allow firefighters better access and help protect firefighter and public safety. Travelers along the Highway 395 corridor, please use caution where fire crews and equipment are working in the fire area. Remarks: NOTE: Use of chainsaws on public lands managed by BLM in NE California and far northwest Nevada is suspended effective Monday, Aug. 20, due to extreme fire danger. Fire officials remind residents and visitors that fire restrictions are in effect for public lands and national forests in northeast California and far northwest Nevada. Campfires are permitted only in posted recreation sites. 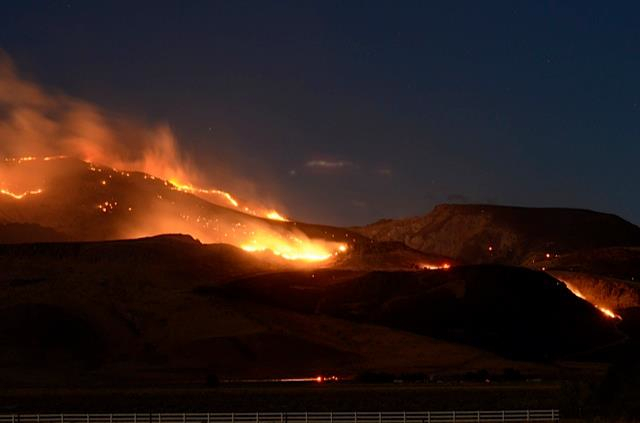 Close to 300,000 acres of the Twin Peak wild horse range have burned as of midnight August 20th. We are very grateful to the Rush fire crews working to contain the fire, protect the land, livestock, wild horses and burros and especially the community. We ask the BLM to find a way to help the wild horses on the range by bringing them food and water as needed–until the forage grows back. Rounding up California’s last herd of wild horses and removing them from their herd management area is wrong. We don’t want them to lose their legally designated range to livestock, energy and mining use. These other forms of public land use can move elsewhere for a while, if needed, but California’s wild horses need their home on the range. Summary: Line construction and suppression efforts will continue along the north eastern edge of the fire along the Buckhorn Road. The fire remains active along this edge. Burning operations on the southern edge of the fire near Wendel Road were successfully completed yesterday, and crews worked late into the night. Today, crews will concentrate suppression efforts along the north eastern flank, south of Buckhorn Road; the eastern edge east of the Rush Creek Ranch, and in the Wendel Road area. Additionally, crews will continue mop up and fire line construction along other areas of the fire’s perimeter. Air support will available and used as needed. Tomorrow there is a Fire Weather Watch forecasted for afternoon winds from the SW approaching 30 to 35 mph. Today at 0600 the Northern Rockies Incident Management Team assumed command from NorCal Team 2. Transitions of this sort are common, and operations should remain seamless. Area and Road Closures in Effect: On August 17, the BLM issued a closure order for public lands in the fire area to protect public health and safety. The closed area is bounded by Highway 395 on the west, the Sand Pass Road on the east, and the Wendel Road on the south. The new northern boundary for the public land closure is the Juniper Ridge, Tuledad, Stage Road, Marr Road, and Buckhorn Road extending to Nevada Highway 447 in Washoe County. 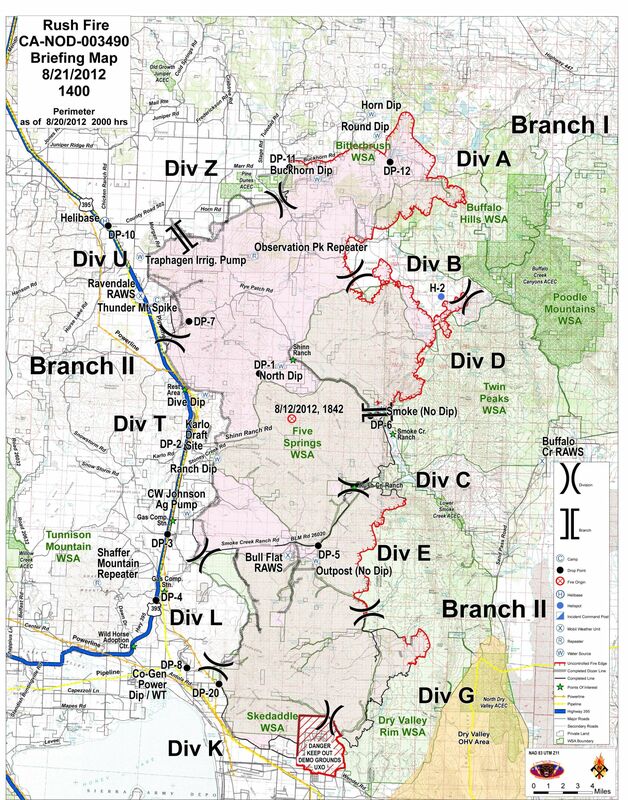 Routes closed within this closure area include the Ramhorn Springs, Rye Patch Road, Buckhorn, Shinn Ranch, Stoney, Deep Cut, Smoke Creek, Skedaddle Ranch, Dry Valley, and Brubeck roads. The Ramhorn Springs Campground and the Dodge Reservoir Campground also is closed. Remarks: Fire officials remind residents and visitors that fire restrictions are in effect for public lands and national forests in northeast California. Campfires are permitted only in posted recreation sites. Chainsaws may not be used after 1:00pm daily. 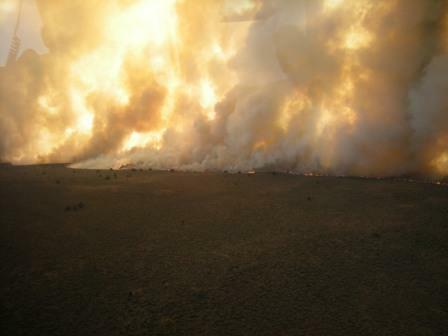 We are writing you in light of yesterday’s Ironwood fire adjacent to the Palomino Valley short-term holding facility. It has been brought to our attention that the BLM has evacuation plans for Palomino Valley that take 24 hours to complete. Your 24 hour evacuation plan–mentioned on the news–is not practical. What if these horses and staffers needed to evacuate quickly due to fire? We are concerned that no one lives on site to ensure the safety of the wild horses and burros at short-term holding facilities. Palomino Valley alone holds more than 2,000 wild horses and burros at times. We request you change this risky policy and hire someone to live on site at all short-term facilities immediately. Boarding barns housing 40 horses always have someone living on site to handle emergencies. The BLM often has more than 2,000 horses at certain facilities so why is no one there after business hours? We want to see your act of good faith–to show the BLM cares about wild horses and burros and will ensure their safety in short-term holding. 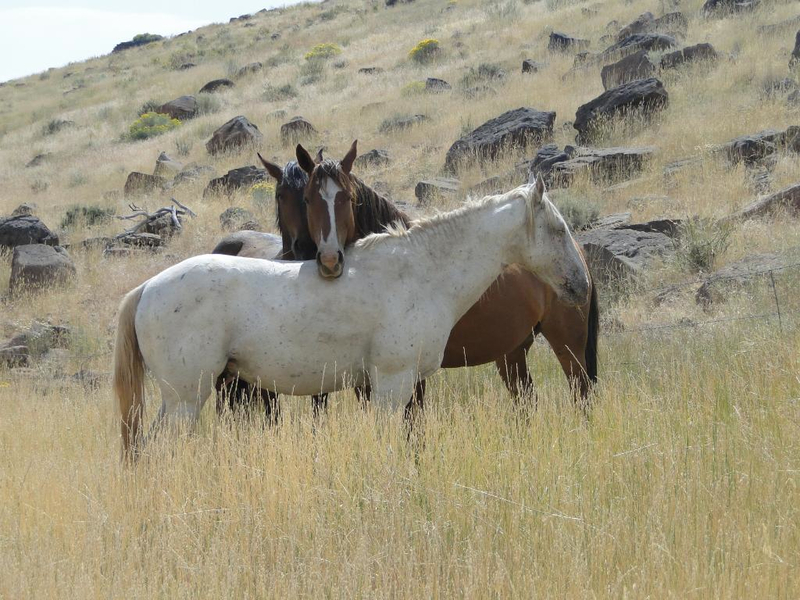 We request the BLM provide us with a copy of the current emergency evacuation plan for more than 2,000 indigenous wild horses held at the Palomino Valley Center, near Sparks Nevada. 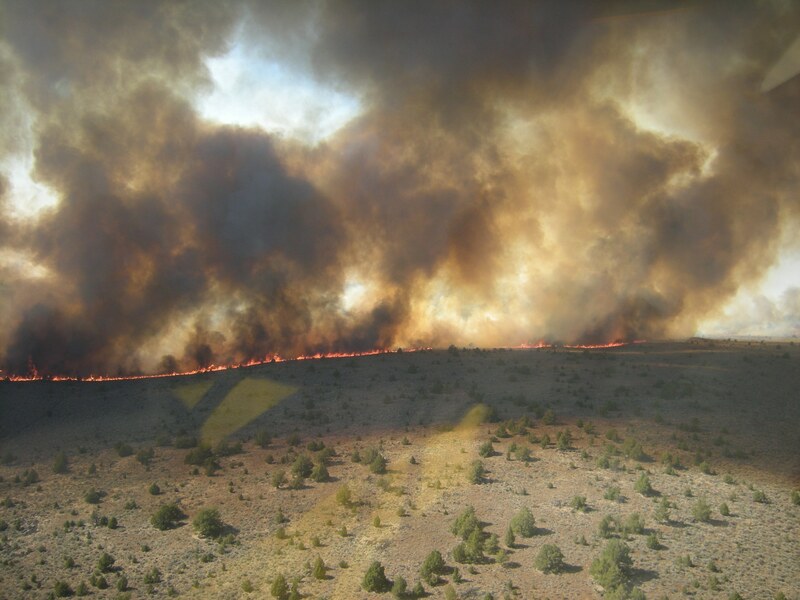 We request the BLM implement a 45 minute evacuation plan–in case of an extreme emergency–-for each holding facility. Once the BLM takes the mustangs and burros off the land they are responsible for their welfare. We are very grateful to the firefighters for their hard work to stop a potential catastrophe. We hope all the residents are safe in the area. People across the country were so worried when we released the photos taken by Taylor James on our website (http://protectmustangs.org/?p=1852 ) and through social media. The public cares deeply about America’s mustangs–especially all the mares and foals who have just been rounded up from Jackson Mountain. 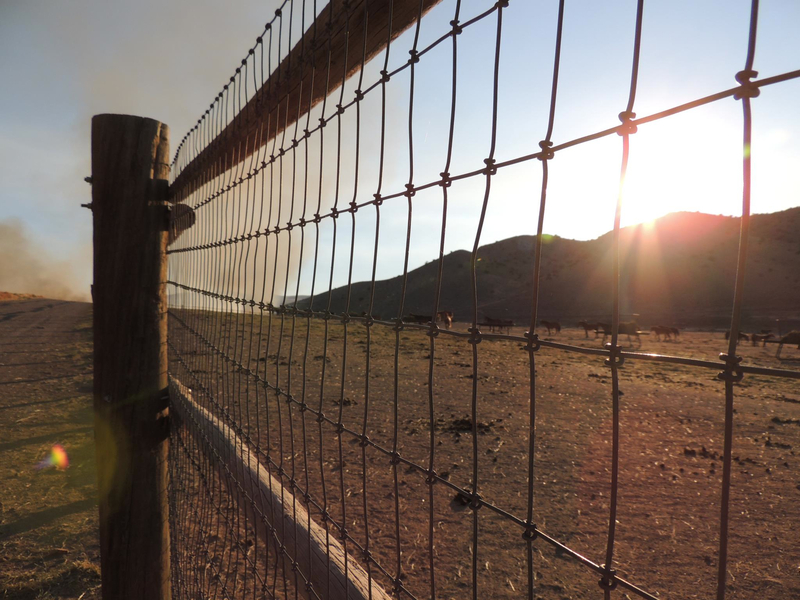 With all the fires across the West this summer, we hope the BLM has an up to date evacuation plan for each wild horse and burro holding facility. 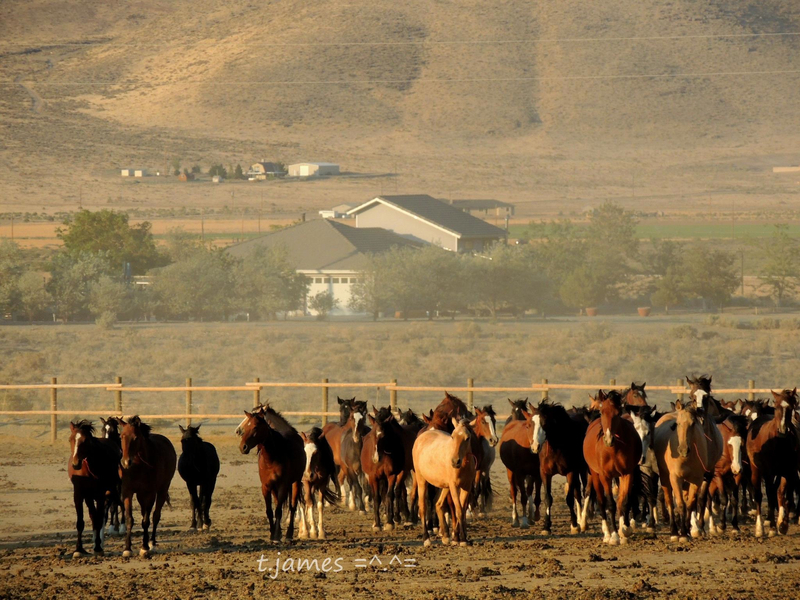 We request the BLM provide us with a copy of their emergency evacuation plan for more than 2,000 indigenous wild horses often held at the Palomino Valley Center. We are asking the BLM to create a 45 minute evacuation plan in case of an extreme emergency–for each wild horse holding facility across the country. Once the BLM takes the mustangs off the land they are responsible for their welfare. 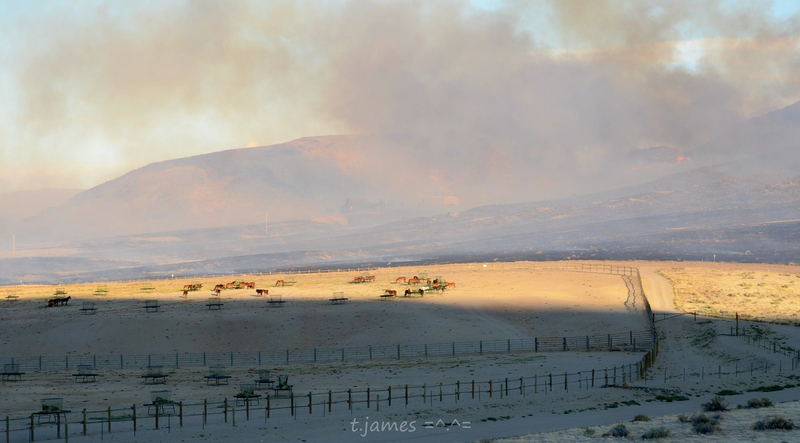 BLM’s 24 hour evacuation plan for Palomino Valley is not practical. What if these horses and staffers needed to evacuate quickly due to fire? We would like the BLM to provide us with a copy of their emergency evacuation plan for the wild horses held at the Palomino Valley Center. According to Taylor James, the photographer on site, the mustangs were already panicking at 7:10 p.m. with smoke coming into their pens. We are especially concerned for the welfare of the pregnant mares and tiny foals after the intense smoke exposure–while they were trapped in pens. In the wild they would run away with their families. Tonight they were at risk because they have been rounded up, separated from their families and held captive. July 2, 2012 11:45 p.m. Much gratitude to the firemen. Prayers to keep all the residents safe. The winds have changed directions and the wild horses are downslope. Let’s hope the mustangs stay safe through the night. Thank YOU everyone for your prayers. Thank you Taylor James for contacting us and taking photos. Thank you News 4 and 8 for covering the story. Scared mustangs ripped from their homes and trapped in pens, with a fire across the dirt road . . . We hope they are OK from all the smoke exposure. The fire is not out yet. UPDATE: 9:28 pm According to Charles Moore with Truckee Meadows Fire, the Ironwood Fire started around 6:30pm and has burned 250-300 acres.The original call had the fire being at 20 X 30 feet, but quickly grew in the time it took for fire crews to arrive, which was between 20 and 30 minutes.No structures have been burned, but the fire burned around at least 12 structures and those 12 structures are still threatened.There are 60-70 firefighters on scene. The fire is burning in rugged terrain, most of the fire has been fought from the air.The Sheriff’s Department has been doing evacuations. Search and Rescue have been warning people and there have been no injuries so far.Firefighters have been called back because it’s too dark to fight the fire, but they will be attacking the fire at daybreak.The cause is still under investigation. Wind is not a big concern for tonight. Because of the fire burning in Caughlin Ranch earlier, crews were able to quickly attend to this fire.BLM stables were threatened for a time, but are not threatened anymore.The next press will be at 6:00am. RENO, Nev. (KRNV & MyNews4.com) — A fire has started on the right side of Pyramid Highway in Palomino Valley. It’s being called the Ironwood Fire. Structures are threatened and deputies are on scene to help people evacuate, according to Washoe County’s North Sergeant.According to Nevada Highway Patrol, southbound on Pyramid Highway has been reopened, but northbound is still closed.News 4 has a crew on the way and will bring you more information as it becomes available. 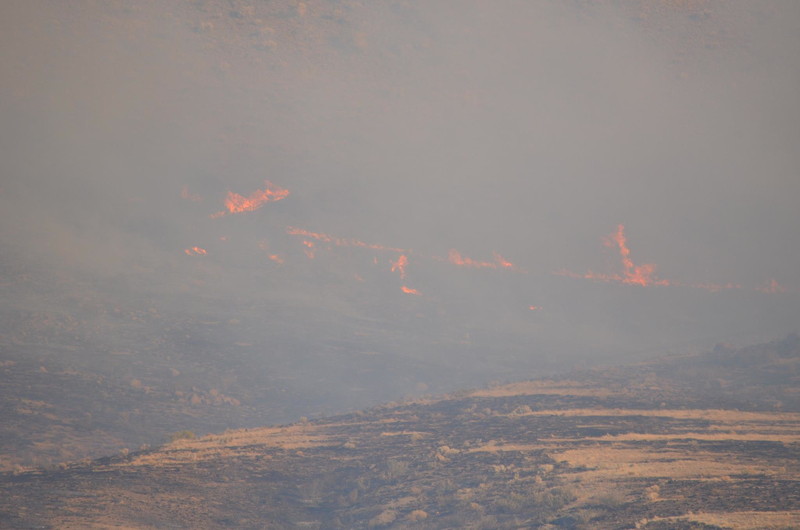 The fire started at about 7:00 p.m. across the road from Palomino Valley Center outside of Sparks Nevada. Photographer Taylor James was at the facility when the fire started and contacted us. Wind blowing smoke into pen at 7:00 p.m. Captured wild horses at beginning of fire. The fire is across a dirt road from the horses. The horses are downslope. Roadside entrance to Palomino Valley where wild horses are held in pens after being rounded up and processed. All photos by Taylor James. Press may use photos crediting the photographer.